On Wednesday, March 29th, BFD Human Resources & Mass. 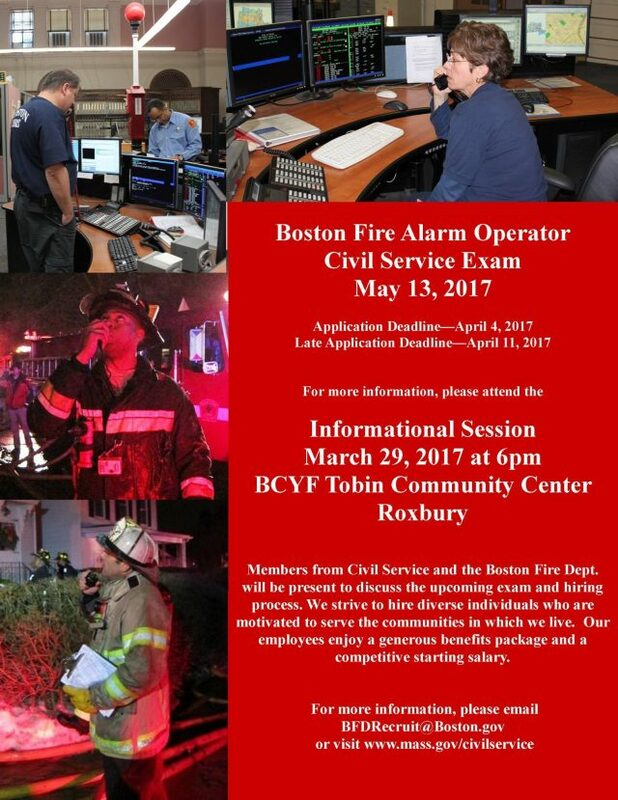 Civil Service will be hosting an Information Session for anyone interested in taking the upcoming Fire Alarm Operator Exam. The Information Session is at 6pm at the Tobin Community Center in Roxbury. Please see the image below for further information, and feel free to contact us with any questions.